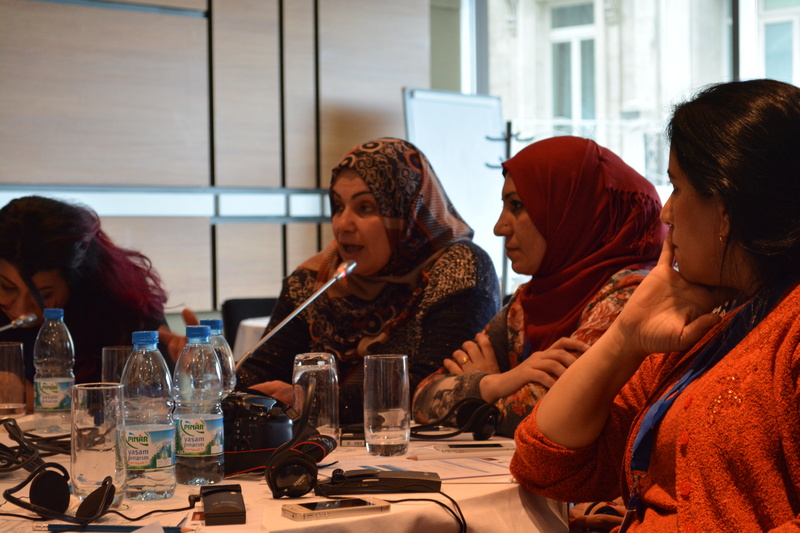 In January 2015, WILPF and Madre brought women’s rights activists and members of grassroots organisations from Syria and Iraq together in Istanbul to share their experiences and identify strategies for defending women’s rights in conflict and responding to human rights violations, including sexual violence. Participants share experiences combating sexual and gender based violence in Iraq and Syria. Sponsored by the UK’s Preventing Sexual Violence in Conflict Initiative (PSVI), the conference was a unique opportunity to learn from grassroots activists working on women’s rights in Iraq and Syria. Many of them continue to work on the ground in conflict affected areas, including those controlled by the self-defined Islamic State of Iraq and the Levant (ISIL). Those participants travelling from ISIL controlled areas had to go through immense danger in order to reach the meeting and share their experiences. Over three days, participants collaborated to detail the roots causes of violence against women and identify patterns of the violence perpetrated by government forces, militias, and by ISIL. In this process, participants shared their existing best practices and discussed how organisations could work to increase their security, networks, and their ability to counter all forms of gender based violence. The conference ended with participants identifying existing gaps in responses to threats they face in conflict and voicing strong recommendations for addressing sexual and gender based violence (SGBV) in both Iraq and Syria. Increase access to medical and psychosocial services for women and survivors of violence. This entails ensuring both continued support for existing services and connecting survivors with services through safe referral networks and programmes that ensure access for women in spite of limited mobility. Expert healthcare providers brought attention to the lack of funding that has resulted in the closure of operating hospitals leaving civilian populations with no access to healthcare that have a severely disproportionate impact on women. Consolidate joint efforts with international organisations to enhance the participation of local organisations in international projects and international human rights mechanisms. Connecting international organisations to grassroots organisations is necessary in order to guide programming and advocacy as close to existing needs as possible. Local knowledge should also be channelled into holistic shadow reports to the CEDAW committee, UPR reports to the Human Rights Council, and other treaty body reporting mechanisms in order to best inform the international community of the needs and realities on the ground. Exert pressure on governments to amend national discriminatory laws and introduce new ones that hold perpetrators accountable and protect women from honour killings, harassment and stigmatisation. Provide technical support to bridge the gaps between national laws and international human rights standards. Such support would involve legal awareness programmes for all stakeholders, drafting adequate legal schemes that reform current legal systems that discriminate against women, and working to implement existing laws. Conduct training for activists and organisations on sensitisation campaigns, psychosocial and healthcare support for survivors of SGBV, interviewing procedures, and documenting sexual violence crimes. 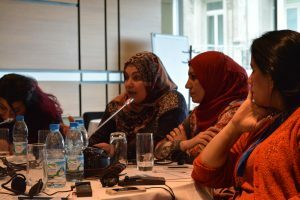 Establish connections and networks among organisations addressing women’s needs both at the local and regional (between Syria and Iraq) levels, particularly in the documentation of SGBV. Put in place empowerment strategies that are two-fold by ensuring both the rehabilitation of survivors of SGBV through economic, psychosocial and social reintegration programming, and strengthening the ability of women’s rights groups to advocate women’s rights issues including the needs of survivors. Provide technical, financial and logistical support for programmes targeted on media reform that challenge the presentation of women as victims and improve the media coverage of women’s rights. This can be accomplished through seeking laws prohibiting satellite channels that depict violations of women, media programming that brings attention to the abuse of women (particularly by armed groups) and educates on the use of SGBV, and workshops on reporting on SGBV for media professionals. The results of the conference will be published in a series of outcome documents. 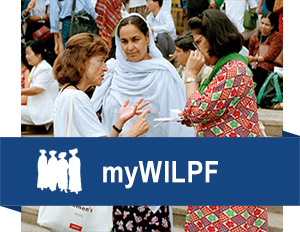 WILPF will also further the recommendations developed during the conference at the NGO Committee on the Status of Women in March and by continuing to engage in the United Nations Human Rights Council, including the forthcoming report of the Independent International Commission of Inquiry on the Syrian Arab Republic.